The rise of the Composites Coalition has given birth to a host of new industry developments bringing cutting-edge science to the region. In Innovation Valley, setting new benchmarks of economic performance is a way of life. The mayors of Knoxville and Knox County show what can happen when political leaders unite for a common cause. Knoxville’s outdoor amenities lure recreational enthusiasts and the firms that cater to them. 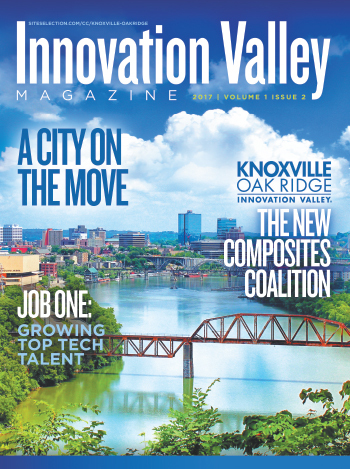 Unique resources make Innovation Valley the new Composites Coalition.